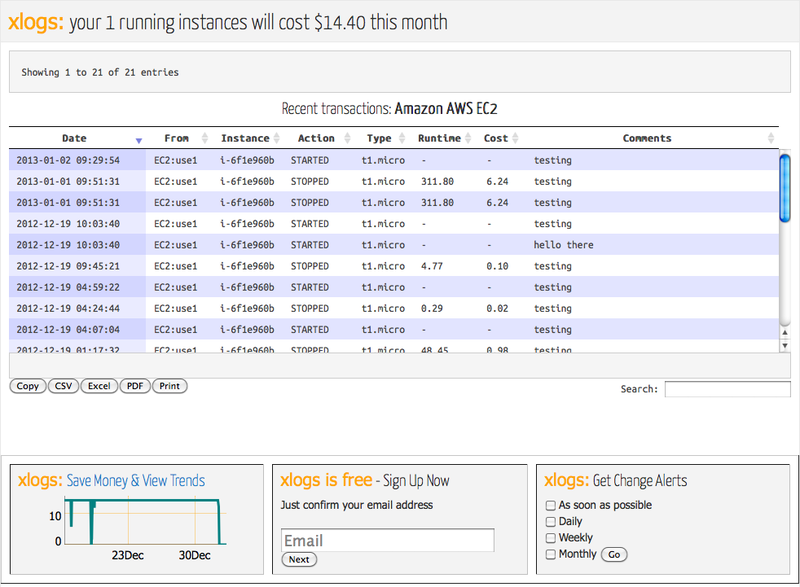 Welcome to xlogs http://xlo.gs – a free tool to help manage the Amazon Cloud. Over the course of the last year of so, and in reviewing a number of AWS environments as a consultant, I noticed a couple of interesting things. Almost all of them have zombie instances that nobody remembers why they’re there. No logfiles. No simple way to tell when an instance appears, vanishes, starts or stops. No simple alerts. I want to know when things change. 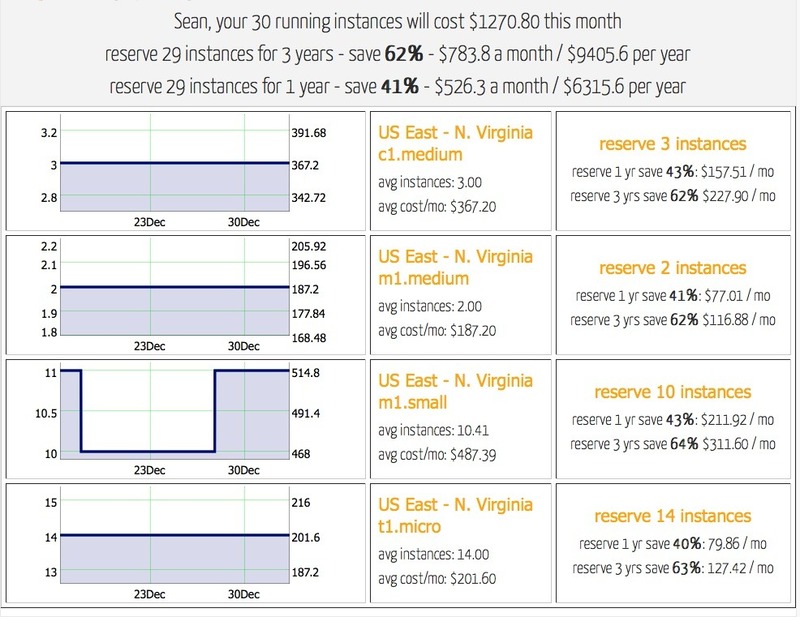 No simple way to see how much I might save using Reserved Instances. As someone who’s taken care of computers for 30 years, I need logfiles. They tell the story of what’s happening on a machine. Amazon doesn’t have something like that where I can see at a glance what’s going on with my instances. Ditto Alerting. I wrote the first web-based Systems and Network Monitor, Big Brother – http://bb4.com – so I really want to know what’s going on. Even a simple email alert to show me what’s changed. At least it’ll remind me I have stuff running on EC2. So here’s Xlogs – please let me know if its helpful and please tell me of any bugs.